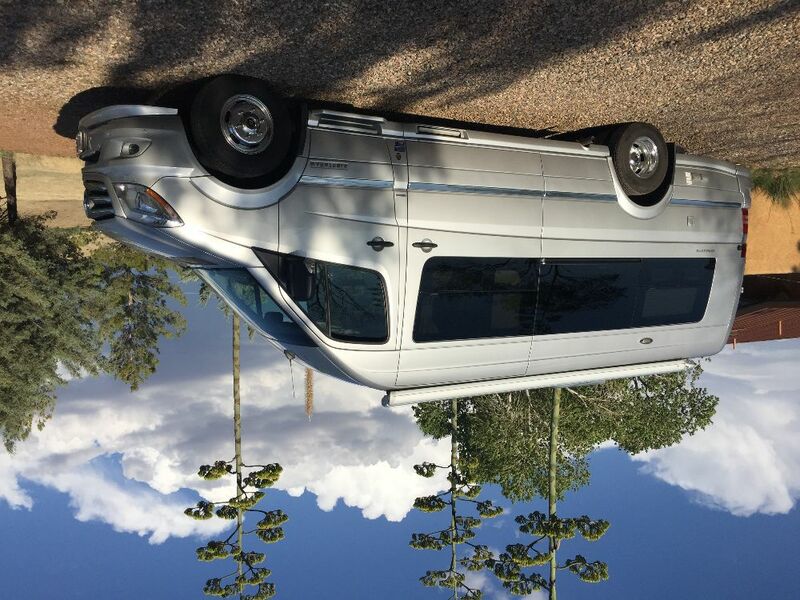 2015 Airstream Interstate EXT Lounge a lovingly used top-of-the-line class B self-contained motorhome. 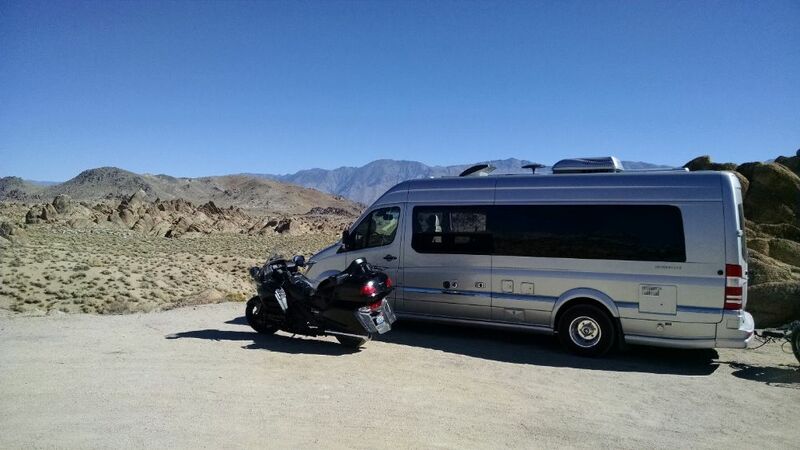 Purchased from Bay Area Airstream in Fairfield, CA (https://www.bayareaairstream.com/ ). 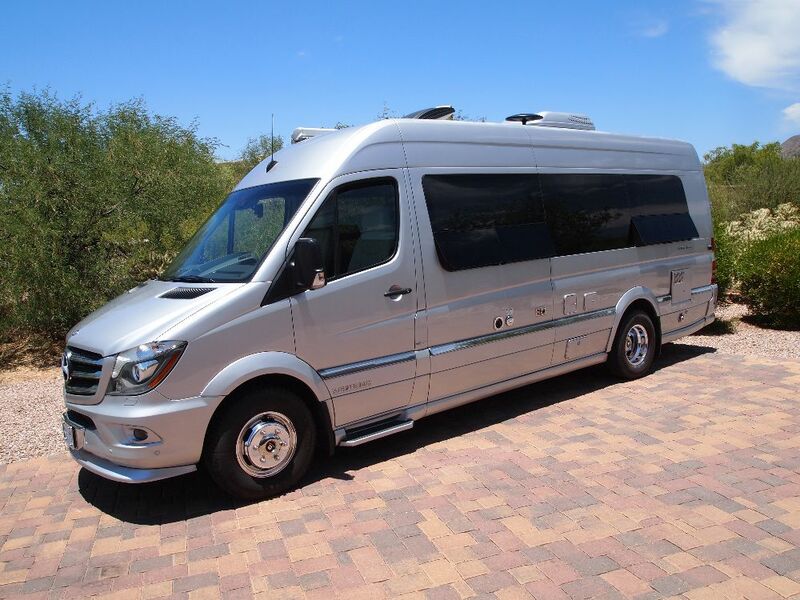 Serviced at Bay Area Airstream and local Mercedes dealership. 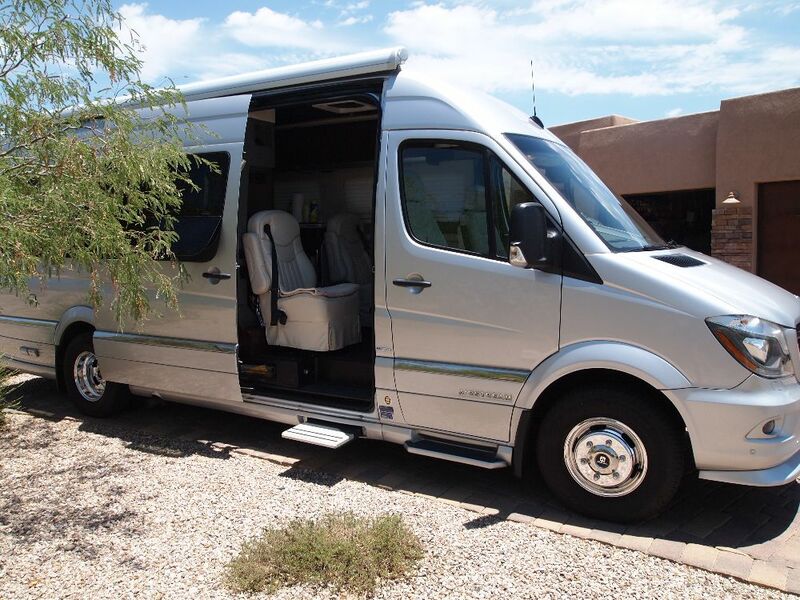 accommodate a complete queen-sized bed when the rear bench seat is reclined into a bed. Driver and passenger seats rotate to accommodate custom arrangements. 3-liter turbo-charged diesel with a 6-speed transmission is smooth, powerful and economical. Unit is pretty much as the original specifications indicated below except for having upgraded the solar panels on the roof by 2; replaced the original “house” batteries with new batteries; and recent replacement of the unit with new Michelin tires. 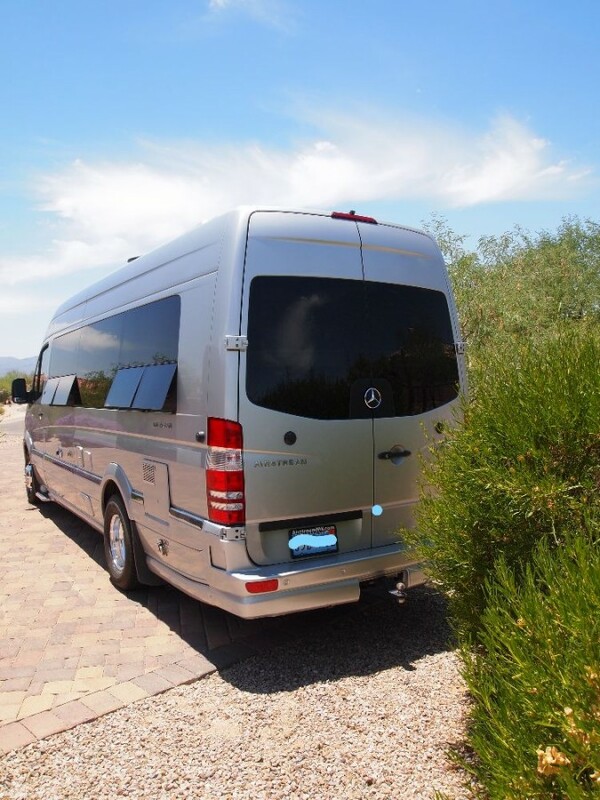 Unit is serviced by Airstream in Fairfield and by the local Mercedes dealership to comply with all warranty and service recommendations. The Interstate just had a 50K service and installed a replacement air bag for the Taketa air bag recall. Vehicle is still under warranty for the engine and emissions controls. 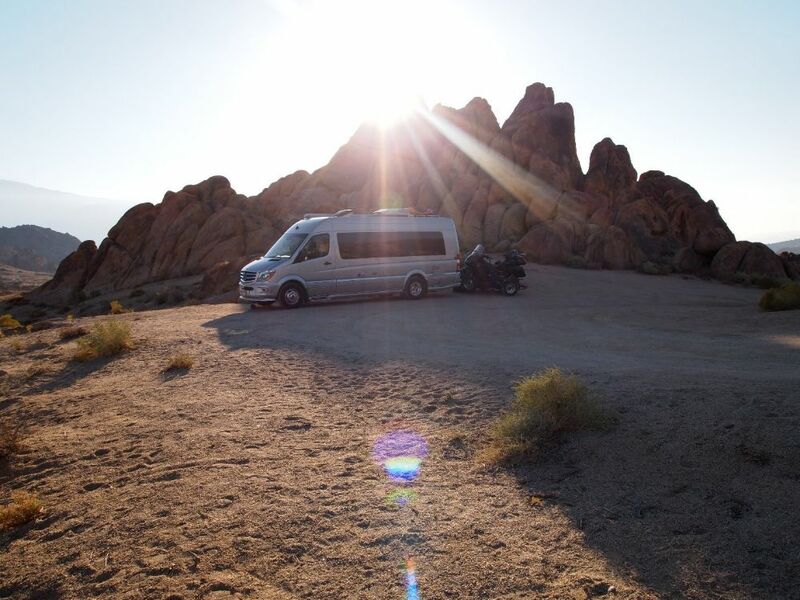 NADA is the source for pricing RV’s outlined below. PS We have a full inventory of associated camping gear to make traveling and camping very easy with the Interstate. 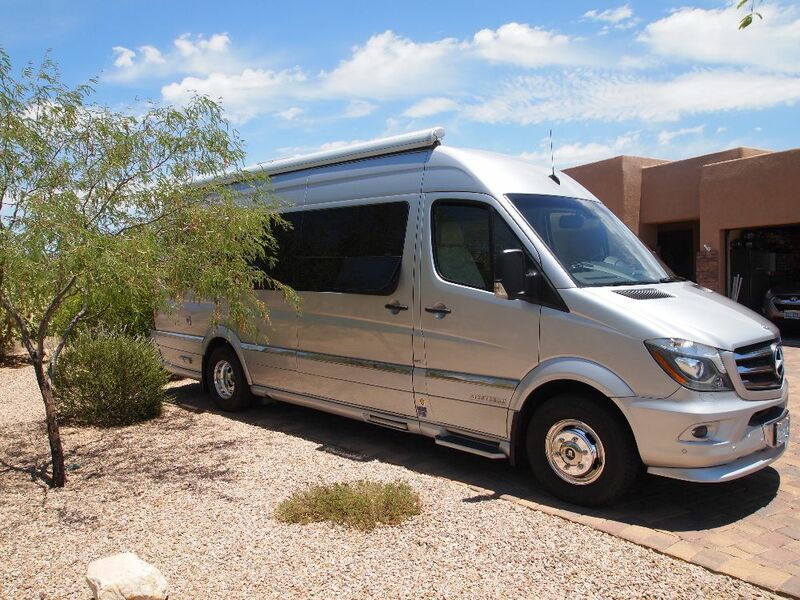 The Airstream Interstate EXT Class B Touring diesel coach offers interior seating for 8 individuals and sleeping accommodations for two. The Interstate interior has a convenient conversation area with the driver and passenger seats swiveled around and two additional lounge chairs. All seats have seat belts to maximize safety while traveling. A removable table can be placed in the center of this area or used in the rear of the coach. Midship is a wet bath that includes a toilet, sink and shower. 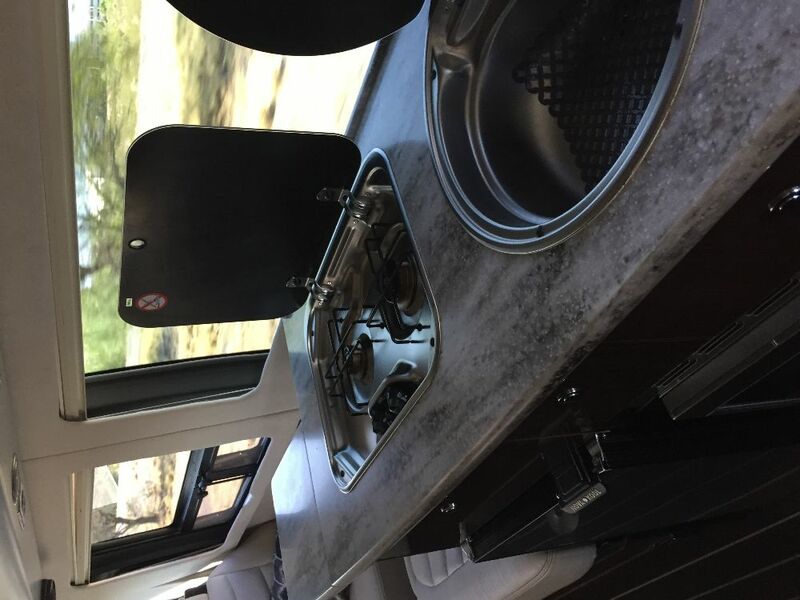 On the drivers’ side of the coach is a round galley sink, overhead cabinets and a two-burner propane cook top. 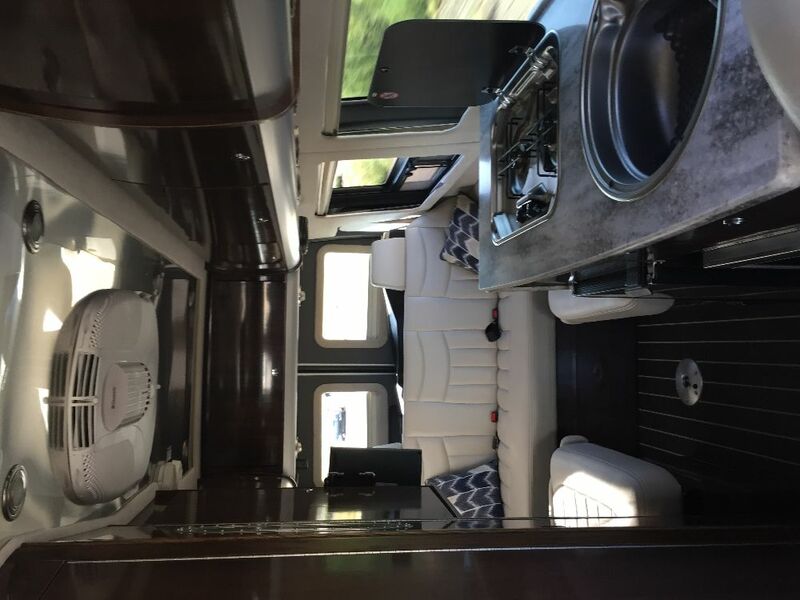 The rear seating and conversation area converts to sleeping area for two people. A lounge seat across the rear of the van accommodates three, with seat belts, ottoman, overhead wardrobe and a road side seat. A removeable table can be mounted in the middle of this area. 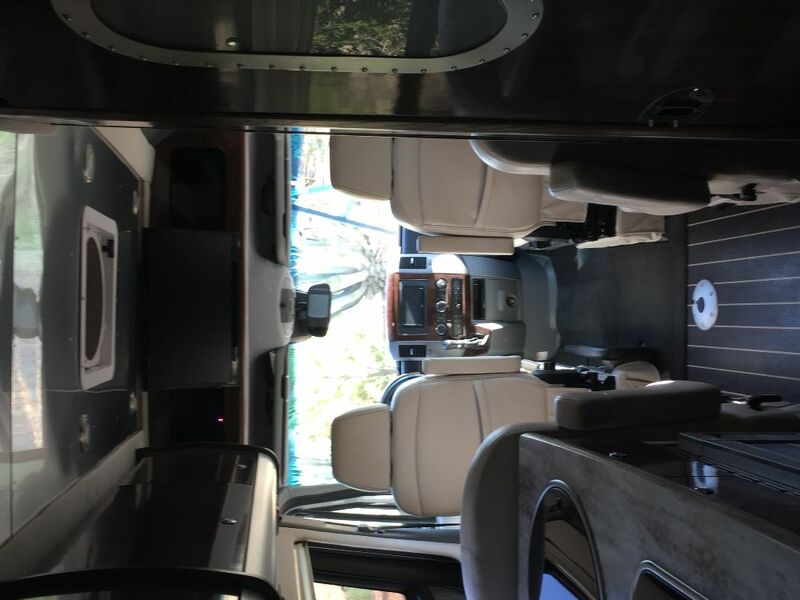 Front and rear TV monitors are mounted for maximum viewing convenience, along with hidden rear storage compartments and an additional 30 cubic feet of storage behind the lounge seat. Fresh Water Capacity: 26 Gal. Gray Water Capacity: 27 Gal. Black Water Capacity: 15 Gal. Overall Length: 23 Ft. 1 In. Exterior Width: 6 Ft. 7.7 In. Interior Height: 6 Ft. 2.25 In. Interior Width: 5 Ft. 10 In. Gross Vehicle Wt Rating (GVWR): 11,030 Lbs.